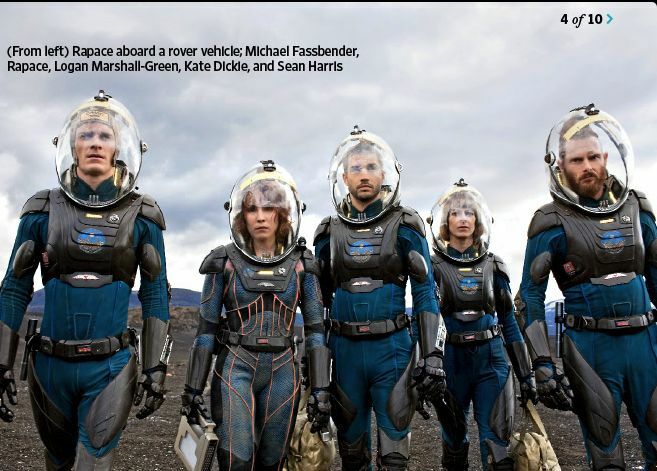 Fassinating Fassbender - A Michael Fassbender Fan Blog: Prometheus cover story on Entertainment Weekly! 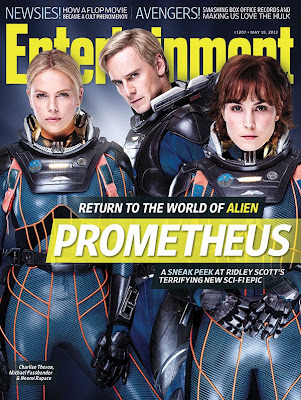 Prometheus cover story on Entertainment Weekly! I have a subscription to Entertainment Weekly and I cannot wait to open my mailbox on Friday to start reading this! I don't like to read an article online if I can get the magazine to read directly, so I will wait. Here are some of the images from the cover story on sale this Friday! Thanks for the pictures, they are fantastic! 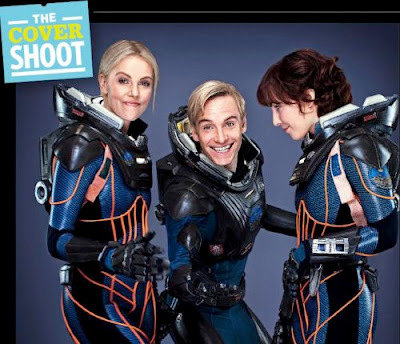 can't wait for May, 30 to see the movie :) A blond Michael is definitely another Michael but I love this one as much as the ginger one! The second pic is hilarious/adorable! Luky you, in Germany we'll have to wait until the beginning of August. I will definitely be picking up a copy of EW this week! I prefer pensive David, to happy David. 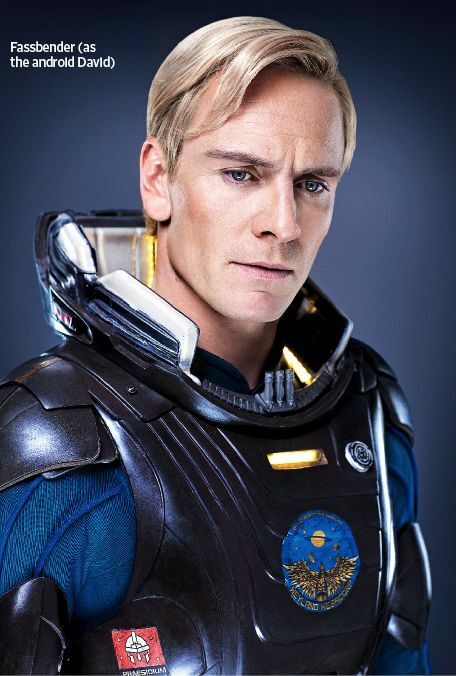 Also, David and Vickers look like they could be related? Anon @ 4:13, you're forgetting that the Weyland Corporation androids are very human like in many ways. They were designed to blend in perfectly, physically. Yes, they BREATH, they need oxygen to function. Without a spacesuit, it would malfunction and perish.